We use this in our parts washer to clean oil and coolant off a variety of metals and plastics: aluminum, 303/15-5/17-4 stainless, titanium, nylon, delrin, etc. 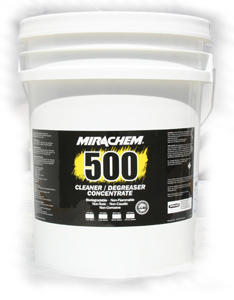 We use 1 part Mirachem, 9 parts water. It smells nice, cleans well, and leaves no residue.